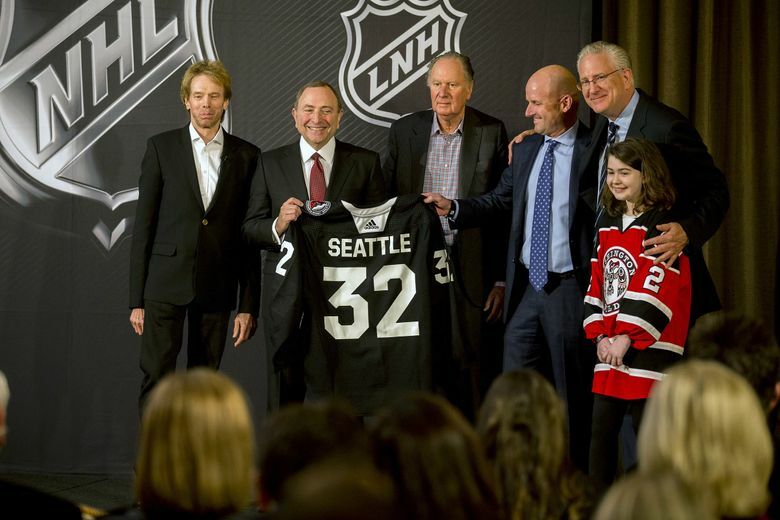 The NHL's expansion to Seattle gave us one big answer, and left a lot of questions. How can you buy tickets? What will the team be named? We attempt to answer those and more in our FAQ. The enthusiasm is noted, but the best you can do for now is to get on NHL Seattle’s waitlist for season tickets. By the end of the first day of sales, more than 33,000 people had put their name on the list. To give you an idea of NHL ticket prices, the average cost on the secondary-market ranges from $72 (Arizona) to $332 (Toronto), according to ticketIQ. Here’s a more in-depth breakdown from Geoff Baker. When will the team start play? October 2021. Although there was hope for puck drop in 2020, the NHL backed away from that date as the Board of Governors’ vote approached. Deputy commissioner Bill Daly, specifically, questioned whether KeyArena would be ready for the 2020-21 season. 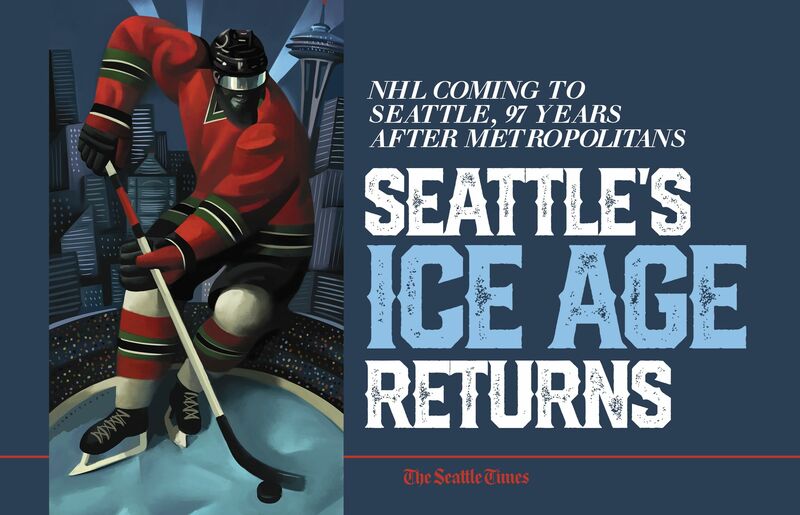 And, when the announcement came Tuesday morning, Seattle was awarded the 32nd NHL team — to start play in the 2021-22 season. What will the team be named? How do they fill their roster? The NHL will hold an expansion draft in 2021 at a remodeled KeyArena, using the same rules as the Las Vegas Golden Knights did in 2017. Because Vegas is a new team, it will be exempt from this draft. Seattle will select one player from each of the other 30 teams, who are allowed to protect seven forwards, three defensemen and one goalie. Full expansion draft rules here, via NHL.com. A newly renovated KeyArena, which Skansa Hunt, the Oak View Group’s subcontractor, will break ground on Wednesday morning. What’s the latest on KeyArena? The cost of the arena seems to go up each time it’s mentioned. The original proposed cost of $650 million is now $800 million, according to CEO Tod Leiweke’s comments Tuesday. Important to note, however, that it is all privately financed by the Oak View Group. As for the timeline, Daly’s concerns were apparently valid. Even with construction set to break ground a day after the franchise became official, the renovated KeyArena is slated to open in the spring of 2021. How can I watch hockey in the meantime? Well, there’s a pair of established minor-league hockey teams already in the Seattle area. To the north, there are the Everett Silvertips, who play at Angel of the Winds Arena. To the south, the Seattle Thunderbirds (who once called KeyArena home) play at the ShoWare Center in Kent. Both play in the Western Hockey League and have produced a number of future NHL players. The closest NHL franchise, and a surefire geographical rival for Seattle’s team, is the Canucks in Vancouver, B.C. The Angry Beaver in Greenwood brands itself as “Seattle’s only hockey bar,” but it’s hardly the only sports bar in town – more and more of which will certainly be adding NHL Center Ice as 2021 nears. How will it affect the NHL? When asked Tuesday about future expansion plans (Quebec City? ), NHL commissioner Gary Bettman said “We’re not looking right now.” So the NHL will play with 32 teams for the time being. Here’s a handy graphic at what that will look like when Seattle is added to the Pacific Division in 2021.